Competitive gardening! Prove your potency by pummeling your pals in a provoking puzzle of produce! Buy seed, water seed, watch fully-formed veggies burst forth from the ground just like in cartoons, then pull off your harvest before your opponents send freaky trained birds and rabbits to munch on them. All this and more can be yours in a game of Garden Dice! 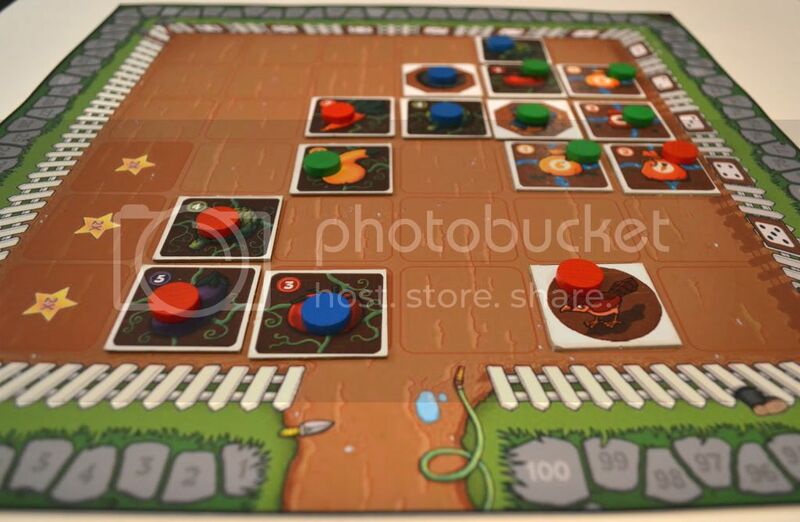 Please note that all pictures and rules discussion are based on the prototype version of the game, which may be subject to some change before Garden Dice is finally published. 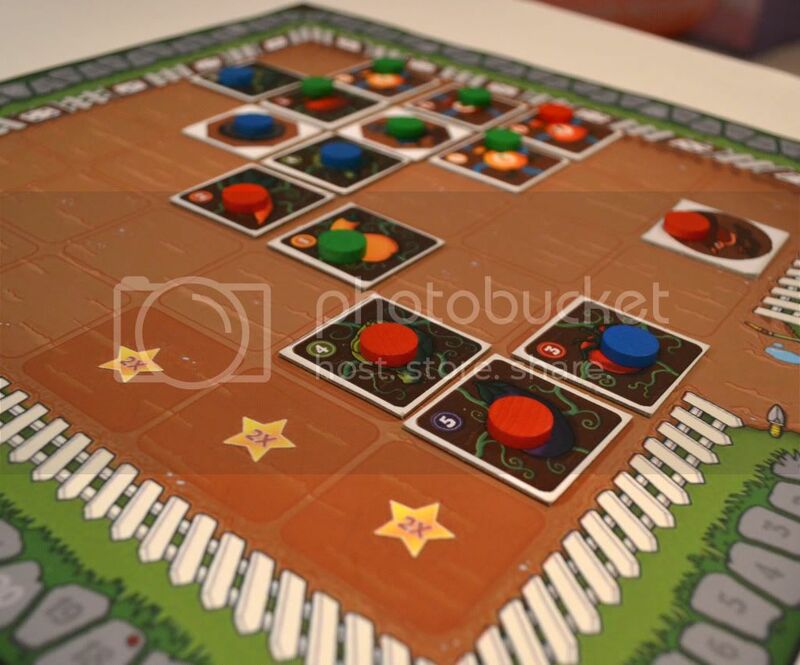 The goal of Garden Dice is to collect the most points by harvesting vegetables of different values during the game and building sets of them to score bonus points at the end. The board is laid out in a 6×6 grid that is made up to look like, as you might expect, a garden. 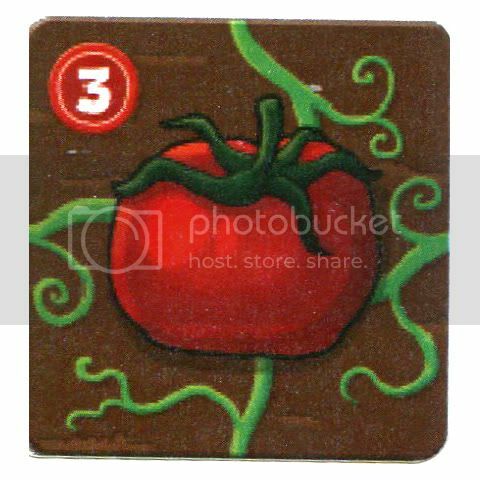 The vegetables are represented by double-sided tiles picturing a bag of seeds on one side and a mature veggie on the other. 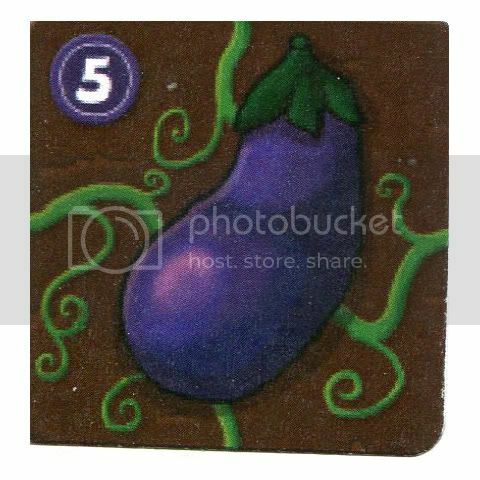 Vegetables come in 5 varieties, valued between 1 (the lowly squash) and 5 (the mighty eggplant), which start the game stacked in piles sorted by value. Each player has 9 colored discs, used to mark ownership of tiles, and three special tiles that I’ll touch on later. Dice, however, is literally the name of the game, so all of the tile-laying and set-collection mechanics really just revolve around the game’s core dice mechanic. On each player’s turn, they roll 4 six-sided dice and use the results to perform a number of different actions. 1) Buying Seeds – A vegetable tile can be purchased from its stack by using a die roll equal to or greater than its value. 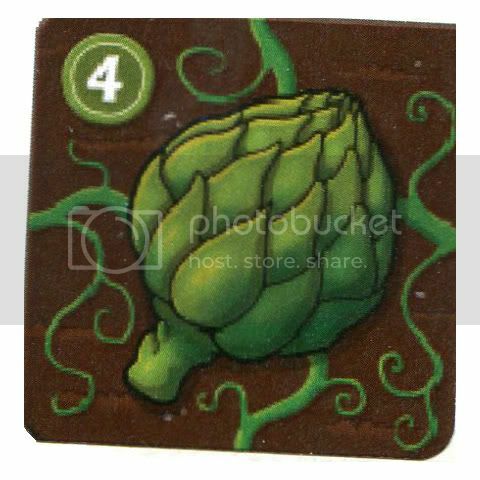 For example, an artichoke (value 4) can be picked up by using a die roll of 4, 5, or 6. 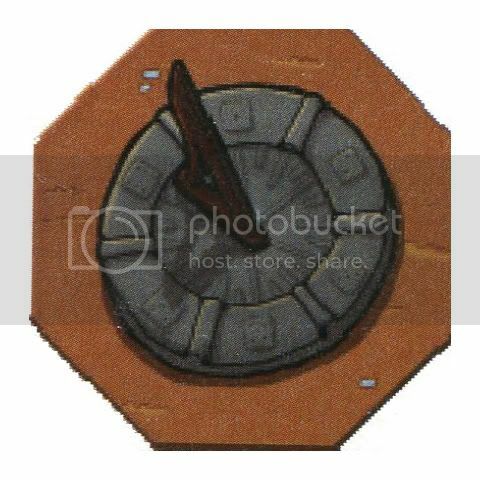 When first taken, the tile has its seed-side up, and the player must place one of their colored ownership discs on it in their personal play space. 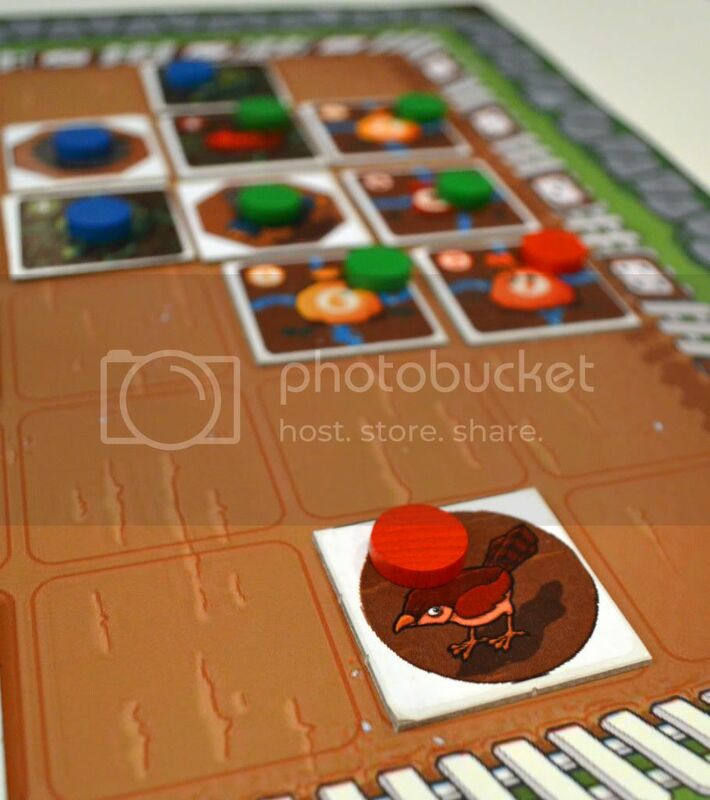 2) Place a Tile – A tile can be placed onto an empty space on the board using two dice. The values on these dice are used as coordinates, but they’re interchangable, so any two dice will usually give two possible positions. 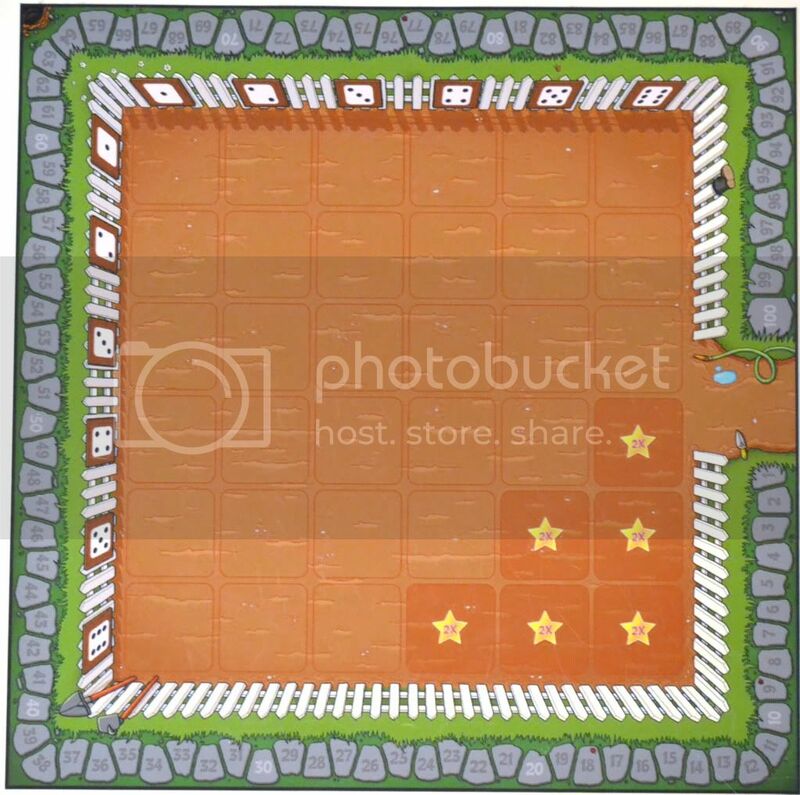 For instance, using dice of values 2 and 4, a tile could be placed either on the 2-4 or 4-2 space in the garden. 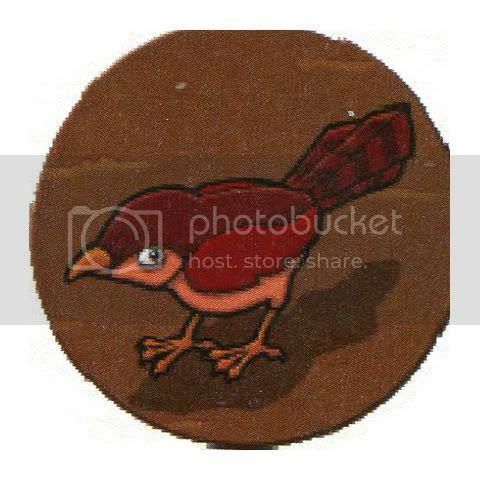 3) Water a Seed Tile – In order to mature a seed tile into a ripe vegetable, it must be watered. This is done by using a die with value equal to or higher than the value of the tile, and then flipping it over to the vegetable side. But it’s not quite that simple, because there’s also a little mechanic thrown in here called chaining. Chaining basically means that stuff done to higher value veggie tiles will sort of flow “downhill” to lower-valued tiles. If you water an Eggplant tile (value 5), any tiles orthogonally adjacent to it of value 4 or less will also be watered, regardless of who owns them. But it doesn’t stop there, because any tiles of even lower values adjacent to those tiles will also be watered, and so on until you run out of adjacent tiles or you hit a tile that is of equal or higher value. Obviously, this introduces a ton of options both for setting up chains for yourself or being opportunistic in placing next to opponents’ tiles, but I’ll get more into that below. 4) Harvest a Veggie Tile – Similarly, a ripe veggie tile can be harvested by using a die with value equal to or greater than the value of the tile. At that point, you score points equal to the value of the tile harvested, and if on one of the “2x” spaces on the board (4-6, 6-4, 5-5, 5-6, 6-5, and 6-6), you score double the tile’s value. Harvesting also chains to lower-valued adjacent tiles, scoring that tile’s owner points. But if you harvest a tile for someone else, you’re given a bonus point for it as well. 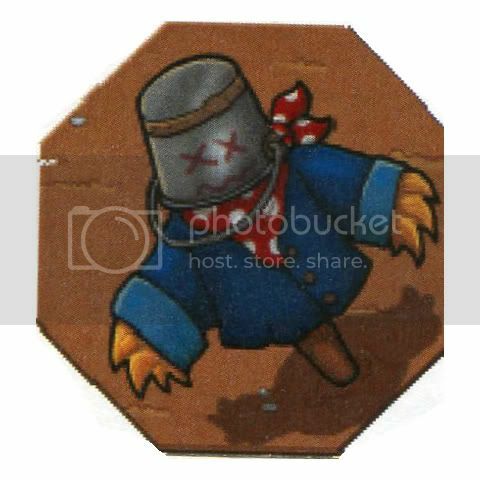 • Sundial/Scarecrow – When first placed, the Sundial side is face-up. 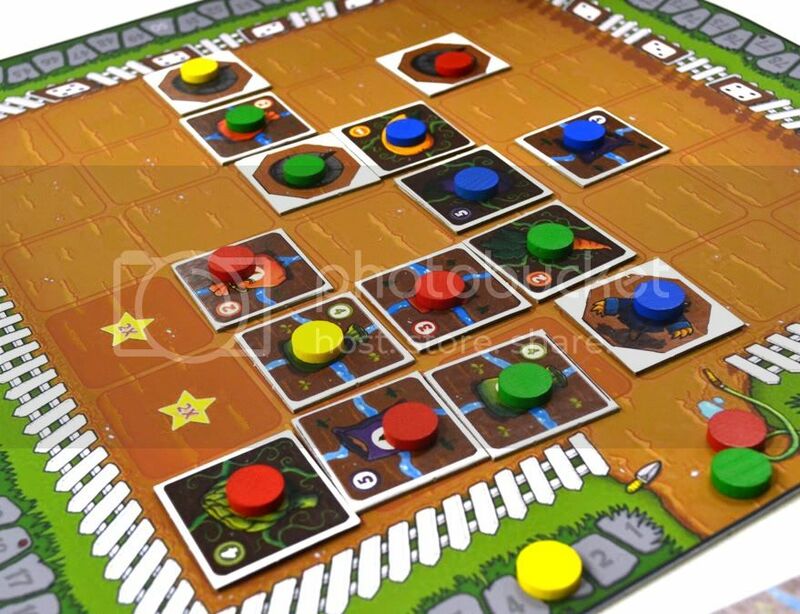 As long as it’s in play, its owner may modify their dice rolls by up to two pips (up or down) each turn, but only for the purposes of Placing a Tile. So, for example, two dice of value 3 and 4 could be used to place a tile on the 3-6, 4-5, 2-5, 2-3, 1-4, or any number of other appropriate positions on the board. 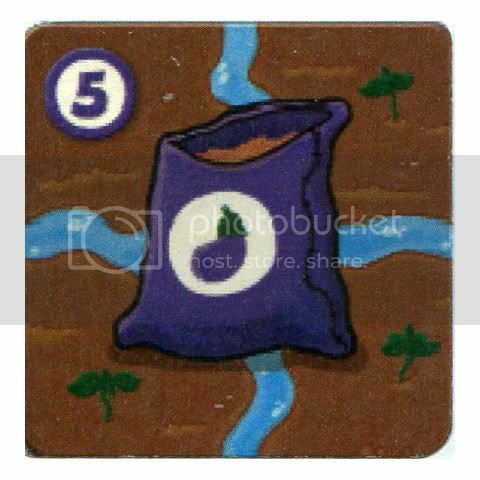 When flipped over to the Scarecrow side (by using a die with a value of 6), it will first of all protect all adjacent seed tiles from Birds (see below). Probably more importantly, your veggie tiles harvested from any adjacent spots will score 3 extra bonus points. 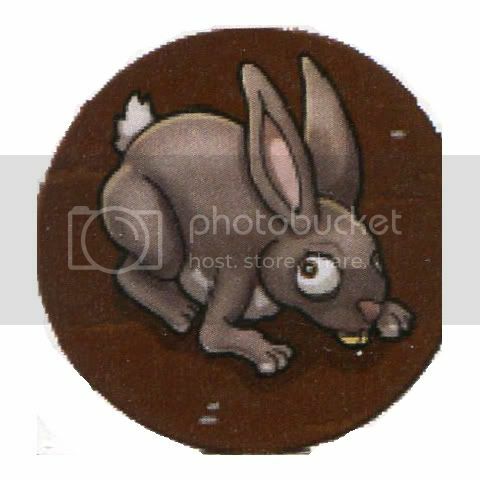 • Bird/Rabbit – This “critter” tile is basically used to eat other players’ tiles on the board. The Bird side is up when placed, and by spending another die from then on, you can move it in a straight line onto a seed tile and either discard it from the game or (by using another die with value equal to or higher than the tile’s value) take it for yourself to place back on the board later on. If flipped using a “6” die, the Rabbit can instead eat mature Veggie tiles, and the Rabbit also isn’t frightened off by the Scarecrow. • Sun – The Sun tile isn’t actually played to the board. Instead, you may discard it once during the game to either re-roll all your dice or to change any one die to whatever result you want it to be. If you don’t use your Sun during the game, it’s worth 5 points at the end. The game continues until someone buys the last vegetable tile. At the end of their turn, the game ends immediately and final scoring occurs. 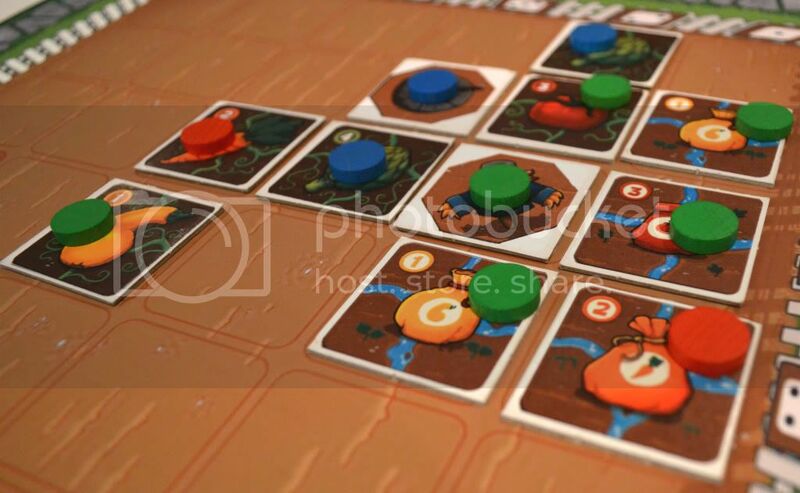 Players score 15 points for each complete set of veggie tiles (one of each type, 1 through 5), 10 points for a set of three like veggies, 15 points for a set of 4 like veggies, and 20 points for a set of 5 like veggies. There are a few other minor rules here and there, but that’s the main gist of the game, and is probably enough for me to move on to my thoughts about it. Let me start with the big elephant that always lives in the room when you’re talking about dice games: will the person who rolls “best” (i.e. “highest”) always win? There are certainly some nice things you can do with high rolls, like buying larger-value veggies, placing them in the “2x” corner of the board, and being able to flip special tiles over. But one thing that sort of balances this out is that “investing” in the higher-value tiles can actually be a bit of a liability, because it then requires you to use even more high-value rolls to water and harvest them. And if your luck “runs out” at some point and you don’t get the high rolls later on, you could easily get stuck with tiles left on the board at the end of the game. Another mitigating factor for the dice randomness is that you roll the dice a lot in this game. I haven’t actually tracked the number of turns I’ve taken in games so far, but it’s got to be easily 15-20 or more, and with rolling 4 dice each time, that’s a lot of rolls over which you should see some sort of regular distribution. And finally, the strongest argument against the game being “too lucky” is that there’s a real and effective strategy or two that uses lower-value dice and tiles. If you place your Sundial/Scarecrow in the lower quarter of the board (say, 2-2, 2-3, 3-3 or something like that), and focus more on placing low-value tiles around it (to get the +3 bonus points per tile harvested next to the Scarecrow), you will score slightly less points per tile/action, but your scoring can be a lot more reliable. 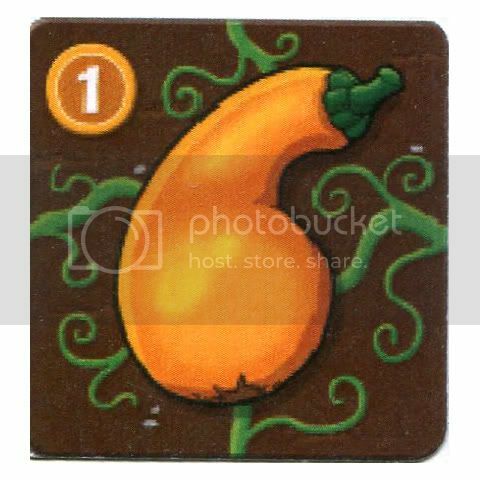 And really, this sort of speaks to the fact that there really are a number of interesting and meaningful decisions concerning actual long-term strategy in Garden Dice. You still have to deal with the occasional odd whim of the dice, but even that tends to be more of a choice about how much risk you take upon yourself in counting on getting specific rolls. In other words, counting on high rolls is inherently “riskier” than low rolls, because you can usually use higher-value rolls in place of lower-value ones, but not the reverse. The thing that I like most about this game is the interaction brought about by the chaining mechanic. Whether you’re planning on chaining your own tiles together or trying to jump in on other players’ chains, there are just a ton of choices to make. And even if you have someone “hanging on” to your chain, there can be a few different approaches in how you handle it. Probably the biggest surprise to me in my first play was how beneficial it was to harvest other people’s tiles due to the bonus points you get from doing it. So even as you’re trying to decide on whether to attach my tile to someone else’s chain, you need to realize that I may save yourself an action or two, but you’re also going to be giving them another point or two that they wouldn’t have had access to otherwise. 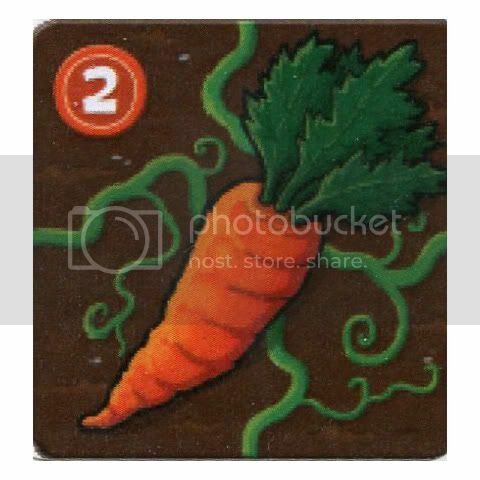 The other big element of player interaction in Garden Dice are the “Critter” tiles. To me, though, I’ve never found them to be all that useful or interesting. It’s such a big investment to get them down and then use them, plus it ties up one (or more) of your colored ownership discs (thus limiting how many other tiles you can have on the board, and it’s pretty hard to actually make effective use of them once you’ve got them. I could certainly see some strategies that would use them “surgically” either as a deterrent or to take out one or two tiles here or there, but I haven’t seen them used very effectively in the games I’ve played so far. I get the feeling that they have been nerfed a bit to keep them from being too overpowering, and in the process, it’s made them a little less efficient and useful than I’d like. Another issue that I have with the game is that it can feel a little slow at times. This is actually a problem that I find rather inherent in most all games where players roll the dice at the beginning of their turn and then have to figure out how to best use them (Alien Frontiers and Tryoes included). The choices in this game aren’t so overwhelming that there’s a huge risk of analysis paralysis, but for a light-to-midweight game, the downtime (especially in a 4-player game) can become at least notable. However, I think the game is definitely best with more players to really highlight the interaction I noted above, so it’s all sort of relative in how big an issue it is. And along with this, I don’t really feel that the game goes on too long, per say, but more that it feels a bit slow in how it plays from turn to turn. So, sort of to wrap things up, I definitely enjoy playing Garden Dice. It’s a game aimed at families and more casual gamers, so don’t go in expecting a ton of depth and total control over every facet of the game. But if you enjoy the kind of game that you can have a conversation over with friends or your family, while still having enough real choices and at least a kernel of strategic depth to keep your gamer side engaged and having fun, then this may be for you. Garden Dice is definitely a family-weight/”gateway” level game, and as long as you don’t expect more from it than it’s trying to be, I think it has a lot going for it. • Rules: Simple and mostly intuitive. And the player aids just revealed in the Kickstarter campaign will really help keep the actions straight. • Theme: A little weak, but it works rather well to inform play and is approachable by pretty much anyone. • Downtime: As with most dice-placement/allocation games, there can be a little bit of analysis time in figuring out how to use your dice, which can lead to some downtime issues. • Length: Actual game length is appropriate at 60 minutes or less, but it can feel a bit long at time. If you might be interested in Garden Dice, it will be on Kickstarter until the morning of May 3, 2011, so please consider backing it and making it a success.